The UK's No. 1 website design company & web designers. Thousands of customers use our web design services. We provide small to medium sized businesses with a full range of Web Services including Custom Website Design, Website Development and Search Marketing. 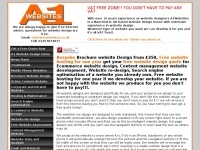 Get a free web design quote today. 275 links pointing to Webcreationuk.co.uk were found. 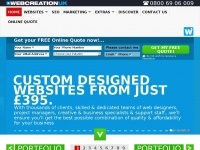 The most used keywords in text links are WebCreationUK, Website Design and Web Design Company uk. Individual words like Website, Design, Designers and WebCreation are frequently used in text links from other websites. The most important links to the website are from Creativitycrafts.co.uk and Websitemarketing.me.uk. 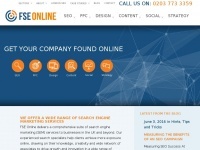 The homepage of Webcreationuk.co.uk and the subsite /seo/ are most referenced by other websites. The table shows the most important links to Webcreationuk.co.uk. The table is sorted in descending order by importance. The table shows websites of Webcreationuk.co.uk, which are often linked by other websites and therefore they are classified as important content. 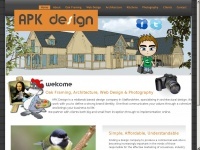 Apkdesign.co.uk - Web Site De­sign by APK, web­sites, Oak fra­me de­sign, ..
A1websites.co.uk - Low cost vat free Web­site de­sign from £250 vat free ..